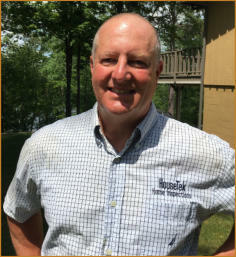 Structural | Mechanical | Electrical | Mold | Radon | Water Quality | Well Mechanical | Septic Dye Test Code Certified, ASHI Certified, and Licensed home and building inspections covering the Upper Peninsula of Michigan, and northeast Wisconsin. Areas include, but not necessarily limited to Dickinson and Iron Counties (including the cities of Iron Mountain, Crystal Falls, Iron River, Republic, Norway and surrounding areas), and also Wisconsin’s Florence and Marinette Counties (including the towns of Florence, Niagara, and Aurora). 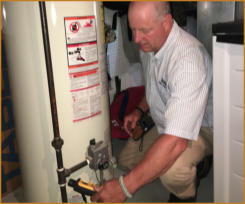 ASHI (American Society of Home Inspectors, www.ashi.org) is the only association for home inspectors accredited by the National Commision for Certifying Agencies (NCCA). Everyone says they're "certified", "super certified", "super duper certified", or whatever. ASHI is the only home inspection organization that has true third- party certification. This allows inspectors who have satisfied the stringent requirements to use the ACI acronym after their name. Providing quality, in-depth expert evaluation on the structural, mechanical, and electrical components of houses and buildings since 1997. 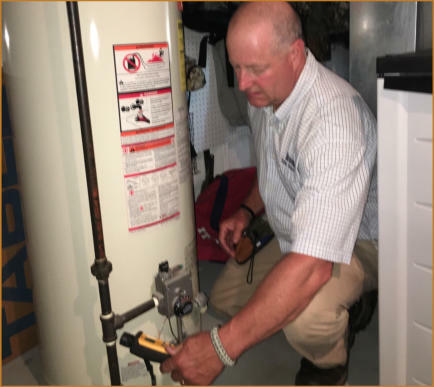 Houses have many systems and components and it takes an experienced, knowledgeable inspector to skillfully identify problems that are not readily apparent. My home inspections are thorough, and my reports are comprehensive. Armed with my home inspection report, homebuyers and other clients have a firm understanding of the condition of the house. With this knowledge of the true condition of the house, buyers will be better able to make a sound purchasing decision, and be in the driver's seat to renegotiate a new price, or request certain repairs be made prior to close of escrow. • ASHI Certified Inspector (American Society of Home Inspectors, #201759) • ICC Code Certified Residential Building Inspector (International Code Council, (#5151694) • Wisconsin Licensed Home Inspector (#1326-106), • Certified Member - International Code Council (#5151694), • FHA/HUD Approved Inspector (1780). Formal Education: Bachelor of Science in Mechanical Engineering Technology; Associate of Applied Science (minor) in Metallurgy. Not to brag but these are solid credentials - many of the other 'certifications' out there...well let's just say not so much. See for yourself how easy it is to get them - you could probably be 'certified' in an hour as long as you send them the money. The International Code Council is the organization that develops and maintains the building codes that Michigan and Wisconsin use. ICC Certification attests to competent knowledge of the building codes and standards. My yearly continuing education requirements include courses on building, mechanical, electrical, and plumbing codes; building science; ventilation design and installation; and other building related topics. These are designed to meet continuing education needs for residential contractors, plumbing, electrical, and mechanical administrators, home inspectors, architects, and education for general crew training. Courses are nationally recognized and are approved for licensure and certifications. Your one-stop home inspection service source. Services provided are home inspections, commercial inspections, foreclosure inspections, mold inspections, construction draw inspections, building consulting, radon testing, water quality testing, well mechanical inspections, and septic dye-test evaluations. HouseTek does inspections for home buyers and sellers, lending institutions, insurance companies, and relocation companies. Call (906) 396-0029 E-mail: arcaro.housetek@gmail.com NOTE: All content on this page written by Joe Arcaro - not copied from anywhere else. I do not work for, seek, nor rely on realtor® referrals. I strongly suggest leaving realty agents completely out of the equation when selecting a home inspector. Also, I do not perform corrective or repair work on houses that I inspect, nor do I flip houses and try to sell them to you. I am unbiased, on the up-and-up, and fair. Unlike everyone else in a property transaction, I don't care if you buy the house or not. I just care about getting paid for the inspection. MY PLEDGE TO YOU - Choosing the right home inspector is important. Inspectors have varying experience, qualifications, equipment, ethics, and motives. How do you know for sure if you hired someone you can count on to do their very best? Well, by privileging me to do your inspection, you can be rest assured that you hired a knowledgeable, experienced, hard-working inspector who is looking after your best interest. A thorough, properly performed home inspection takes experience, knowledge, and plenty of hard work. My promise to you is that I will give your inspection my very best effort with your satisfaction as my primary goal. What I don't do is offer gimmicky things like 'warranties', and I don't leave coupons at realty offices. I don't provide discounts for seniors or veterans. Everyone gets the lowest possible fee that I am willing to do my inspections for. What I will offer though is this...If you are not satisfied with your inspection, I will give you your fee back. That's as straight up as it gets. 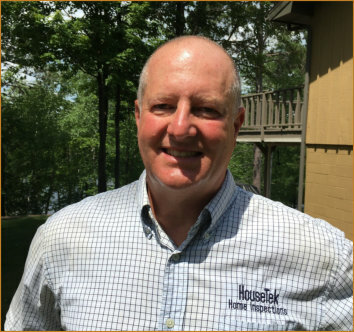 Backed by over 20 years experience, and over 1700 inspections (and counting) performed by me (not a franchise), you can trust HouseTek Inspection Services. I think my expertise and competitive rates make me the #1 choice for inspecting your house or small commercial building. Your Protection Is My Business! Structural | Mechanical | Electrical | Mold | Radon | Water Quality | Well Mechanical | Septic Dye Test Code Certified, ASHI Certified, and Licensed home and building inspections covering the Upper Peninsula of Michigan, and northeast Wisconsin. Areas include, but not necessarily limited to Dickinson and Iron Counties (including the cities of Iron Mountain, Crystal Falls, Iron River, Republic, Norway and surrounding areas), and also Wisconsin’s Florence and Marinette Counties (including the towns of Florence, Niagara, and Aurora). 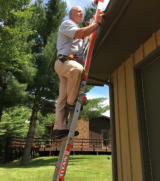 ASHI (American Society of Home Inspectors, www.ashi.org) is the only association for home inspectors accredited by the National Commision for Certifying Agencies (NCCA). Everyone says they're "certified", "super certified", "super duper certified", or whatever. ASHI is the only home inspection organization that has true third-party certification. This allows inspectors who have satisfied the stringent requirements to use the ACI acronym after their name. I do not work for, seek, nor rely on realtor® referrals. I strongly suggest leaving realty agents completely out of the equation when selecting a home inspector. Also, I do not perform corrective or repair work on houses that I inspect, nor do I flip houses and try to sell them to you. I am unbiased, on the up- and-up, and fair. Unlike everyone else in a property transaction, I don't care if you buy the house or not. I just care about getting paid for the inspection. MY PLEDGE TO YOU - Choosing the right home inspector is important. Inspectors have varying experience, qualifications, equipment, ethics, and motives. How do you know for sure if you hired someone you can count on to do their very best? Well, by privileging me to do your inspection, you can be rest assured that you hired a knowledgeable, experienced, hard-working inspector who is looking after your best interest. A thorough, properly performed home inspection takes experience, knowledge, and plenty of hard work. My promise to you is that I will give your inspection my very best effort with your satisfaction as my primary goal. What I don't do is offer gimmicky things like 'warranties', and I don't leave coupons at realty offices. I don't provide discounts for seniors or veterans. Everyone gets the lowest possible fee that I am willing to do my inspections for. What I will offer though is this...If you are not satisfied with your inspection, I will give you your fee back. That's as straight up as it gets. Backed by over 20 years experience, and over 1700 inspections (and counting) performed by me (not a franchise), you can trust HouseTek Inspection Services. I think my expertise and competitive rates make me the #1 choice for inspecting your house or small commercial building.